The tallest structure along the banks of the River Thames, and one of the newest, is the London Eye. Constructed using parts from all over Europe, this 443 foot tall ferris wheel has 32 air-conditioned pods, each representing one of the 32 boroughs of London. Smart travelers avoid lines by booking their tickets online and picking them up at one of the self-service kiosks. Twenty-five guests at a time line up to board the capsules for the thirty minute ride. Interactive guides built in to the capsule walls identify what you’re seeing on the horizon. The ride is so smooth you hardly feel like you’re moving, but once you reach the top the view is unbeatable! With the iconic skyline of London laid out before you, it’s not uncommon to feel like you’re on top of the world! 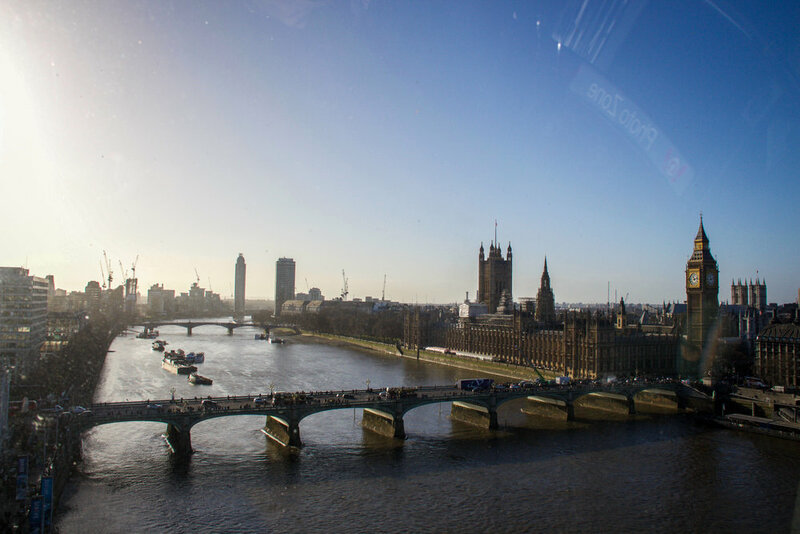 Big Ben & the Palace of Westminster , St. Paul’s Cathedral, Westminster Abbey and so many more of London’s classic buildings are laid out before you, just begging to be explored.